Ava Harrison has a way of writing that makes readers live the journey with her couples. We feel the heartbreak, the hopelessness, the pain, but on the flip side we get to enjoy the healing, the redemption, and the joy that inevitably comes. Jace is one of the surliest heroes I have encountered in quite some time, and he has a good reason. He is broken, shattered a bit beyond repair. Although he is belligerent at times, most of his anger is self directed, and so there is sympathy for him. The way Ava Harrison writes his character, the development of what has caused him to shatter, makes him relatable and his love for the heroine clear, even when it isn’t to him. His journey to his HEA is hard fought and a times tragic (of his own making), but that makes the ending so rewarding. This story will gut you. It isn’t easy. What these two endure separately and together is trying, and readers LIVE IT with them. It is, though, enthralling and captivating. The emotion of their tale, the steamy chemistry between the characters , the growth of the two over the course of the story is beautiful, ultimately showcasing that their is light beyond the darkness. It seems fitting that I started reading Ava Harrison’s books with trans•ference, and that ab•so•lution (not part of a series – each is about a different brother) would be my favorite book of hers to date. It is tragic and raw, beautifully written, and exhibits how love can heal. Romance GOLD! Ava Harrison is a new-to-me author. 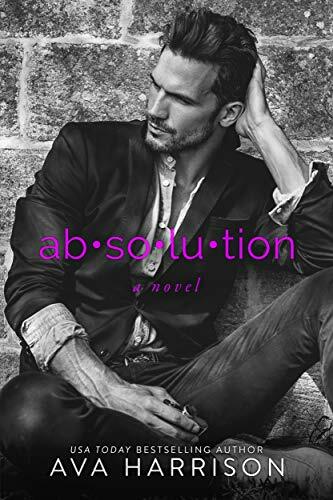 I’ve always wanted to read her books and after this review, I have a feeling Absolution will be the first one! Thanks!